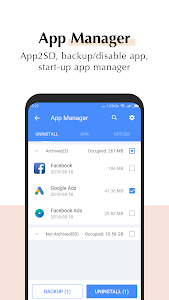 Cleaner apps are most popular tools ? 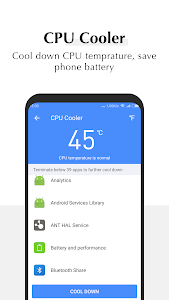 on Android devices. 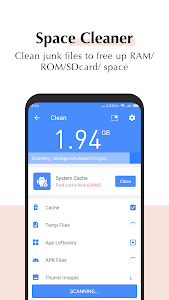 Cleaner apps free up storage space on Android phone or tablet by cleaning junk files, removing residual files and optimizing device memory. ►►The most important, All-In-One Toolbox is more than a cleaner. ? ? ⚒ ? 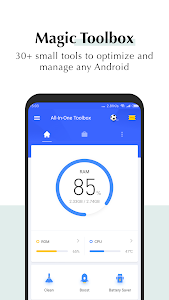 All-In-One Toolbox reclaims your Android more free space, more fast speed, longer battery life, more optimized phone performance in a easy fast way. ??? ►►?Secondly, for great continuous app improvement & globally trust. - ?All-In-One Toolbox was initially released on August 23, 2012 and redesigned almost every year. - ? All-In-One Toolbox has been updated almost every two weeks in the past six years according to any positive user feedback and Android OS update requirements. 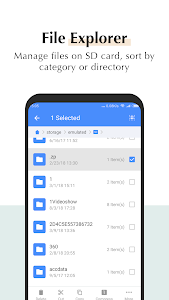 - ?All-In-One Toolbox has been installed on more than 5000,0000 Android devices world wide. 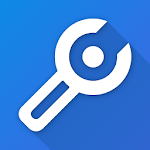 - ?All-In-One Toolbox was rated as 4.7/5, one of the top rated tool apps. 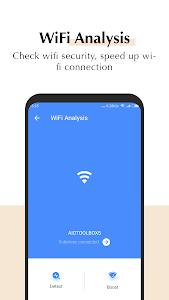 ?Install All-In-One Toolbox now to clean and optimize your Android phones or tablets!! 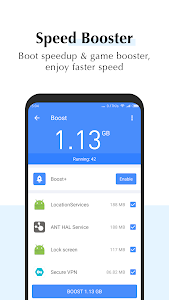 Similar to "All-In-One Toolbox: Cleaner & Speed Booster"